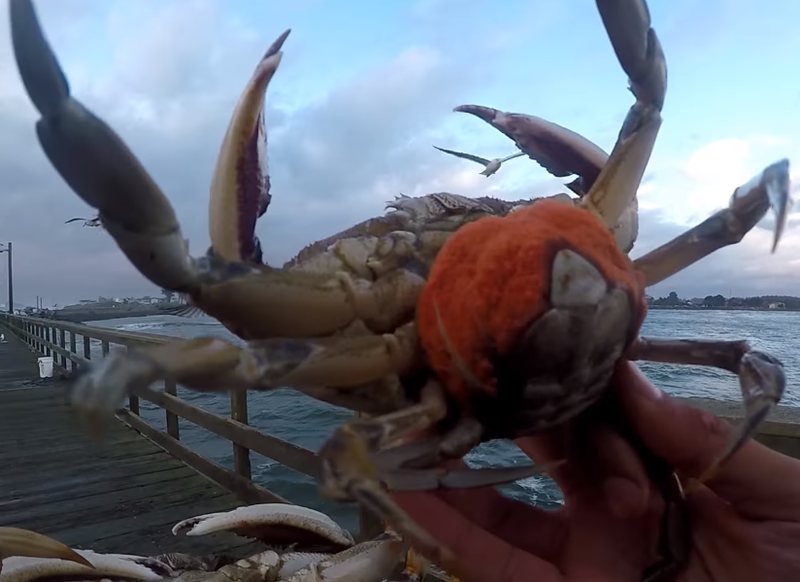 When you catch your crabs, you probably can’t keep every crab that you catch. This is due to regulations that are specific for your state. In any state, it is illegal to keep sponge crabs which are female crabs that have eggs on their abdomen. These sponge crabs are easy to spot as they will have an orange sack of eggs attached to their under-belly. In some cases, for a specific species of crab or depending on what state you live in, you may be required to release female crabs. They can be sorted from male crabs by a single, distinguishing feature: the shape of its abdomen or tail flap. This is very easy to spot. Flip the crab so that its underside is facing towards you. The flap is located at the bottom of the abdomen close to where a tail would be if crabs had tails. If the flap is broad, wide and round, then the crab is a female. If the flap is slender and pointy resembling a pen or a knife, then the crab is a male. Furthermore, it is advised that you only keep crabs that are of sufficient size. This is for two reasons. One is because some states only allow certain sized crabs to be kept. Two is because smaller crabs are likely to have less meat so it will be a less satisfying dish. Measuring the crab is done from tip to tip on the shell. You can use a ruler to measure the width. 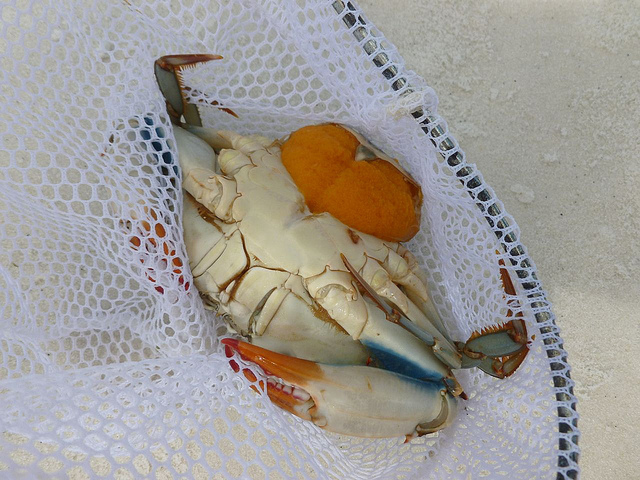 When you catch your crabs, you would want to keep them alive as long as possible to ensure a fresh catch and a healthy meal. To do so, the best way is to have a wide and deep container or bucket. Pour enough water into your container to just barely cover the crabs. Keep the crabs in this setup until you get home. At this point, you should probably clean and cook your crabs. This is when they will taste the best. If you have to store the crabs at home though, store them in a well-ventilated container and do not put them in air-tight containers or they will suffocate. You will want to keep them in water as well. Circulate the water and replace regularly to maximize their lifetime away from their natural habitat. It is probably bad to store live crabs for more than 1-2 days. After this point, it is likely they will die and begin to rot. 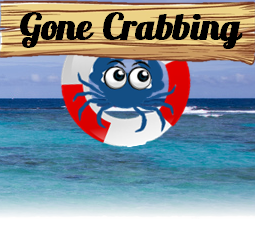 You can find the necessary tools to store crabs and measure them at the CrabbingHq store. Check it out!